This post is part of the series: How to stream on Twitch and part of the Stream Alerts, Follower Notifications and more series how to setup the stream and do all the nitty gritty things. Strexm is an awesome cloud based service where you get pretty much everything you need to start your stream the right way. You get access to really good looking designed overlays and the first one you choose is free! What Strexm can do for you? Many of the layouts can be used in other games as well and you can just switch around places for cams etc. Easily on the editor 🙂 Also you can use the cool looking alerts straight up so you don’t even necessarily need to setup Twitch Alerts. This is a really good tool for starting out streamers or folks that haven’t yet get custom made layouts from graphic designers or just isn’t that graphically talented and would like to save time and have an awesome looking stream. 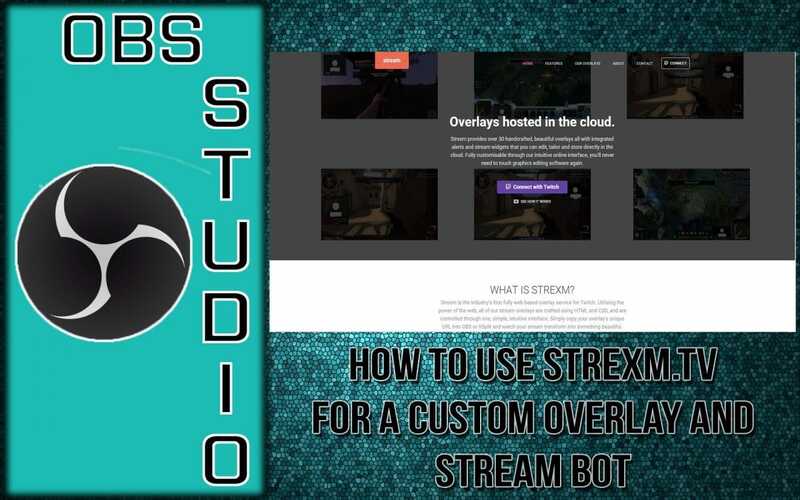 In this video you can see: How to Use Strexm for Custom Overlays and Stream Bot. Credits and +1 rep: For the WDA_Punisher for the good how to tutorial.